While it’s not a horror, the scariest aspect of The Purge is how seriously the concept is taken. James DeMonaco issues a smart move and doesn’t make the idea of a 12-hour violent free-for-all campy by any means. He plays his role as writer/director with a straight face and watches that his thriller and its screenplay keeps its realism but doesn’t come off as oppressive or stuffy. 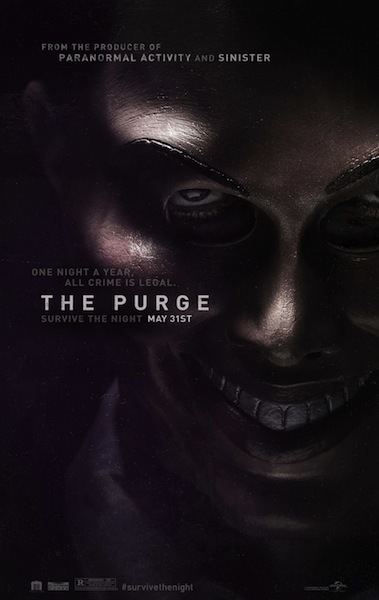 This warped way of communal cleansing called “The Purge” is spun into something that’s deemed as normal. By making “The Purge” into an anticipated past time that’s as American as baseball and apple pie, DeMonaco walks a thin line that could easily be interpreted as the filmmaker assuming that North American society has become obsessed with violence and are not bothered by revenge. We actually look forward to settling a score as grittily as possible. Thankfully, the filmmaker is still aware he’s behind a camera telling a fictitious story and not standing on a soapbox. He miraculously dodges multiple bullets that one would think would poke holes in his material. There’s still an existing properly managed allegory, however, with enough oomph to draw us in and make a social statement. Message aside, this is still very much a magnetic adult thriller with an ominous atmosphere. 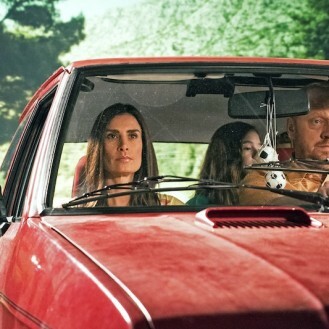 DeMonaco gives his viewers what they came for whilst telling a story about a protected suburban family trapped in their own abode as they face a time limit against possible – occasionally dotty – intruders. The Purge is a very intense movie that doesn’t relish in blood and gore. When gruesome images are shown, they gather the right reactions from the audience who has been appropriately sheltered from anything graphic. It’s a film that toys with haunted house tropes and utilizes a fair dosage of jump scares, but movie goers never feel as if we’re travelling down a tired route. That said, there are those moments of predictability where we think we’re a few steps ahead of DeMonaco. But, almost immediately, the nimble filmmaker throws us a curveball – damning us for ever doubting him. I was pleasantly surprised with The Purge. Any movie that touts itself as a product brought to us from people involved with recent horror money makers like Paranormal Activity and Sinister sets itself up for a “been there, done that” fate. I’m glad to see there’s an exception to the rule that’ll have frozen movie goers biting their nails.